Well, well what have we here? And the answer - as far as we can tell - is a well, dating from the 1200s, and unnusual in having steps down the well itself. After the community excavation had finished it was decided to leave the well open, to give people a flavour of some of the evidence we'd uncovered. 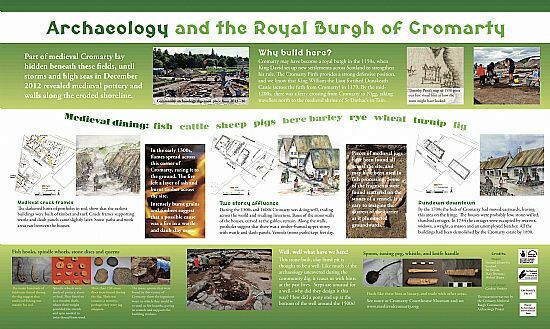 I was asked by the Cromarty Medieval Community Archaeology Project to write and design a board to go with the well, and to share some of the findings of the dig. You can see the result below.